Next time you are in the Temple Sinai West Wing, look down at your feet. 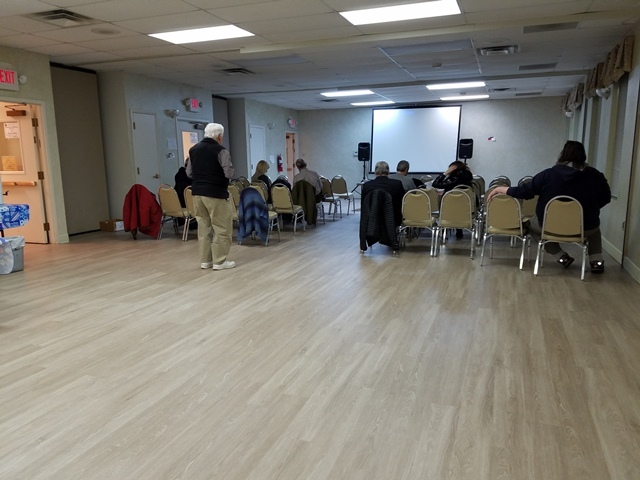 Right before the Thanksgiving holiday, Temple Sinai installed new flooring. “This resilient plank floor should provide many years of low maintenance and durability and serve our building well,” explained Larry Novik, board member and chair of the Building Committee. The West Wing serves as a multi-purpose room for activities such as B’nai Mitzvah Shabbat services and movies sponsored by the Saratoga Jewish Community Arts. In addition, the West Wing divides into four classrooms that are used by our Religious School and Hebrew School. Funding for the new floor, as well as waterproofing the west wall of the West Wing, came from a generous grant from the Alfred Z. Solomon Charitable Trust. A contribution from Marian Lewis also made this project possible. The Alfred Z. Solomon Charitable Trust annually awards grants to non- profit scientific, medical, educational, cultural, religious, and charitable organizations. The Trust is named in memory of its founder, Alfred Z. Solomon, a leader in the fashion industry, a horse racing enthusiast, and a philanthropist who resided in Gansevoort, NY, and New York City. In the past years, Temple Sinai has received a number of grants from the Alfred Z. Solomon Charitable Trust. Previously funded projects include the Temple Sinai kitchen renovation, the purchase of bookcases and furniture for the Temple Library, and programs for the Saratoga Jewish Cultural Arts Festival. In addition to these projects at Temple Sinai, the Alfred Z. Solomon Charitable Trust has also supported projects at Caffe Lena, Sustainable Saratoga, and the Empire State Youth Orchestra.